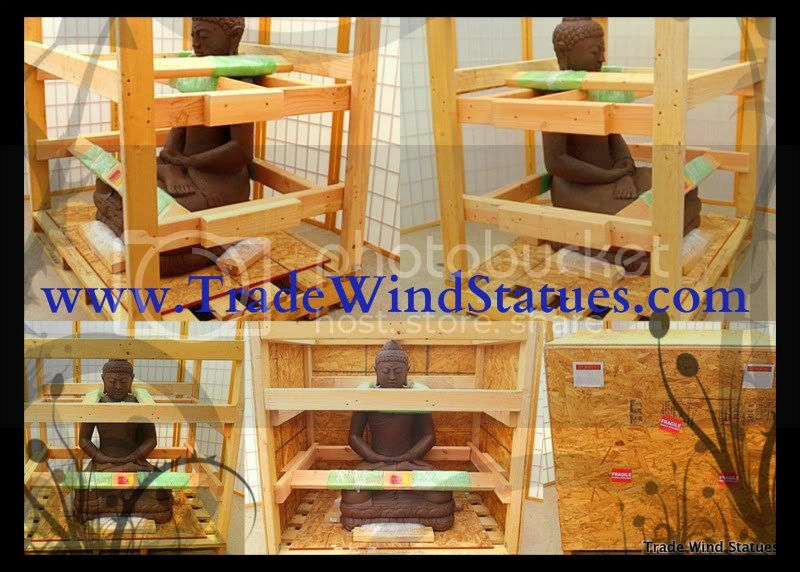 This original, hand carved solid stone standing Ho Tai Buddha statue is just under 4ft tall and weighs an estimated 240 lbs., large enough to be a beautiful centerpiece in any location, indoors or out. The Buddha is holding a functional planter pot, perfect for flowers, plants, or alms. The proportions and detail of this solid stone, hand carved Buddha statue are accurate and clean. This type of stone is very dense and any finished sculpture using this stone is filled with rich, earthy tones, smooth curves and a solid core. This statue is of temple quality and will last hundreds if not thousands of years.